The Samsung Galaxy 3 i5801 is an attractively designed mobile phone with features that will enthrall you. It has a 3.2-inch wide touchscreen display with Android 2.1 Eclair OS and TouchWiz 3.0. The Samsung Galaxy 3 i5801also has a 667MHz CPU with 256MB RAM. Additionally, the innovatively designed mobile phone features 3G, WiFi, GPS, and the latest version of Bluetooth, v3.0. The Samsung Galaxy 3 i5801 measures 113.5 x 55 x 12.6 mm and weighs 113 grams. It also has various connectivity features like FM Radio, music player, DNSe, DivX/Xvid playback, 3.5 mm audio jack, GPS and Java. The Samsung Galaxy 3 i5801 also has TouchWiz 3.0 UI, Layar Reality Browser, Social Hub, Allshare and Swype. It is powered by 1500mAh battery for talk time of 7 hours in 3G network. 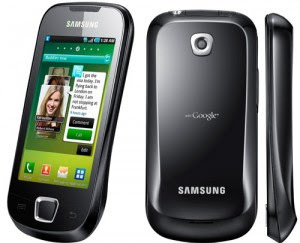 Available in Black and White, the Samsung Galaxy 3 i5801 is priced at Rs 12,616 /-. Intricately designed, technically equipped and user friendly mobile-the Samsung Galaxy 3 i580 makes a great buy.